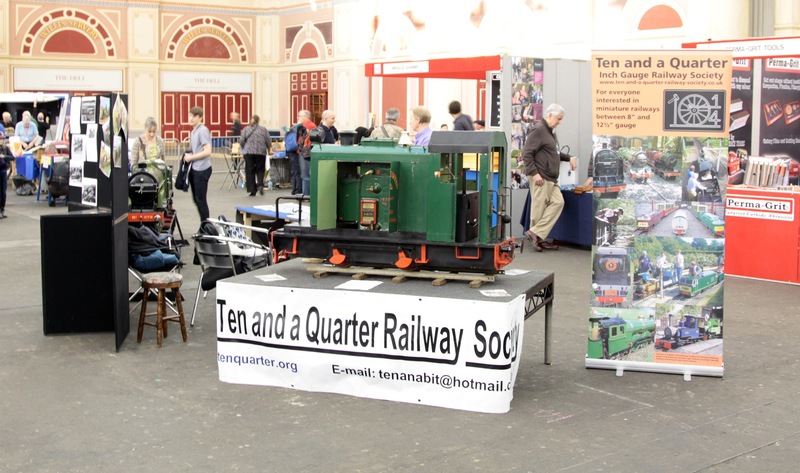 As usual the Society was invited to have a stand at the London Model Engineering Exhibition and as usual the exhibits were organised by Aidan Favell. This year we had Andy & Phil Devenport’s Basset-Lowke Atlantic and Aidan’s own Lister powered ‘Coughing Polly’. 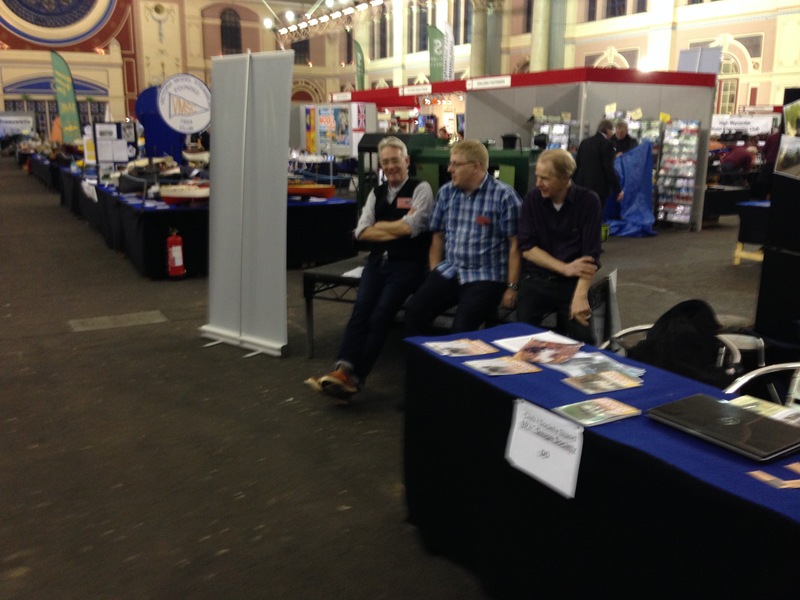 Both generated plenty of interest and those of us on the stand were kept busy over all three days answering questions and having a general chinwag. 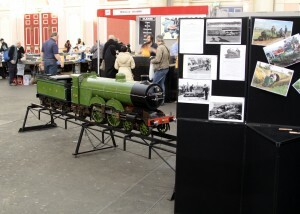 Attendance at the show was up over 10% on the 2012 show, a fair comparison because the 2013 show was badly affected by snow. Andy & Phil Devenport’s Basset-Lowke Atlantic. The next event the Society will attend will be the Midlands Model Engineering Exhibition on October 16 to 19 at the Warwickshire Exhibition Centre near Leamington Spa. 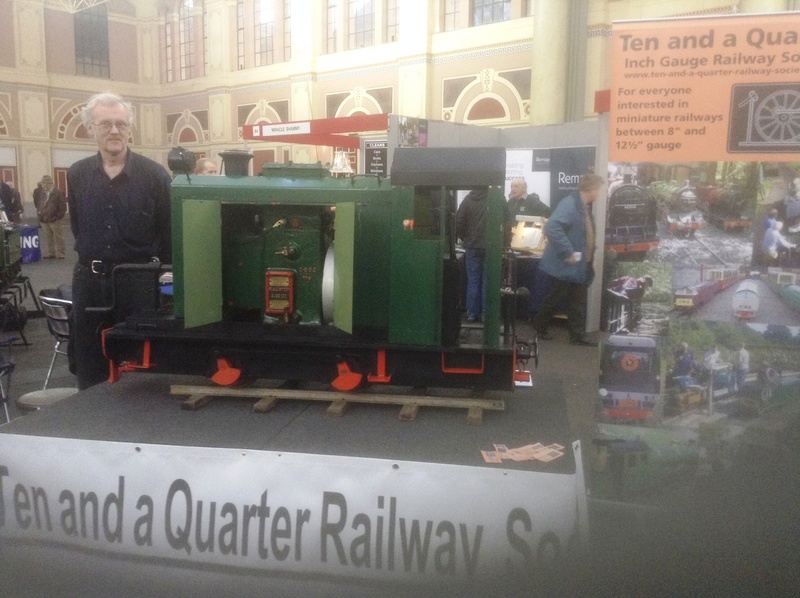 Aiden Favell with “Coughing Polly” on the Society stand at the 2014 London Engineering Exhibition. Thank you to our members who manned the Society stand and to those who were able to attend the show.